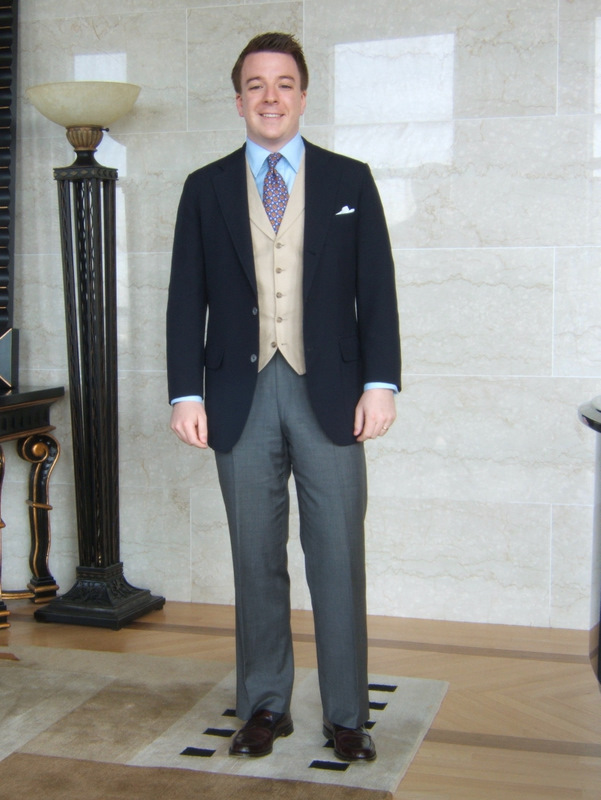 The Non-Matching Suit Vest – Is It Okay To Wear? Vests (or waist-coats if you want to use the proper name) make a statement. I like wearing them casually and also formally with a suit. Today, I’ll discuss wearing a non-matching vest with a suit. By non-matching I mean that the vest didn’t come with that particular suit. Vests can be purchased separately from a host of clothing stores such as Macy’s, Nordstrom, Express, JCPenny and many others. Adding a vest to your suit adds formality to your attire, so if the occasion calls for the full ‘suited & booted’ look, that’s when it’s time to break out your vest. It’s perfectly acceptable to go with a non-matching vest. 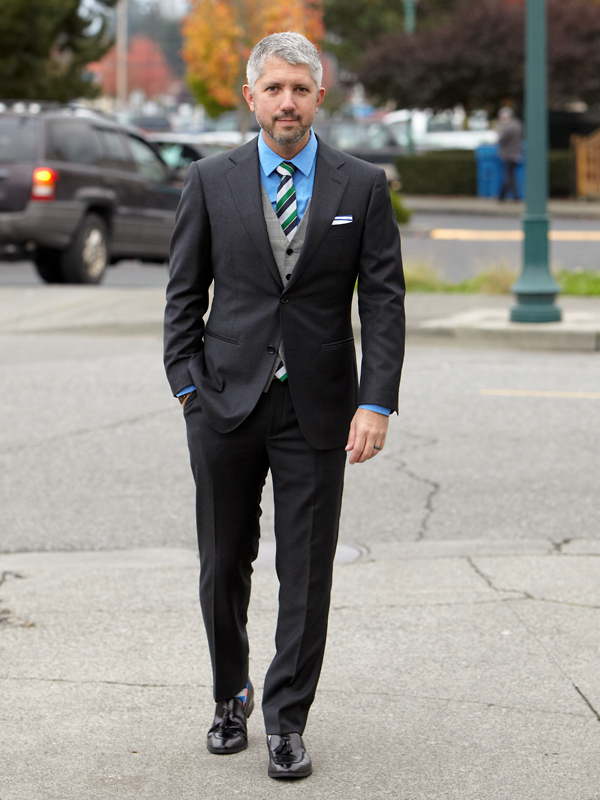 Don’t stray too far from the color wheel of your suit. You’re already making a statement by wearing a vest, so you want it to look effortless without going too far over the top. 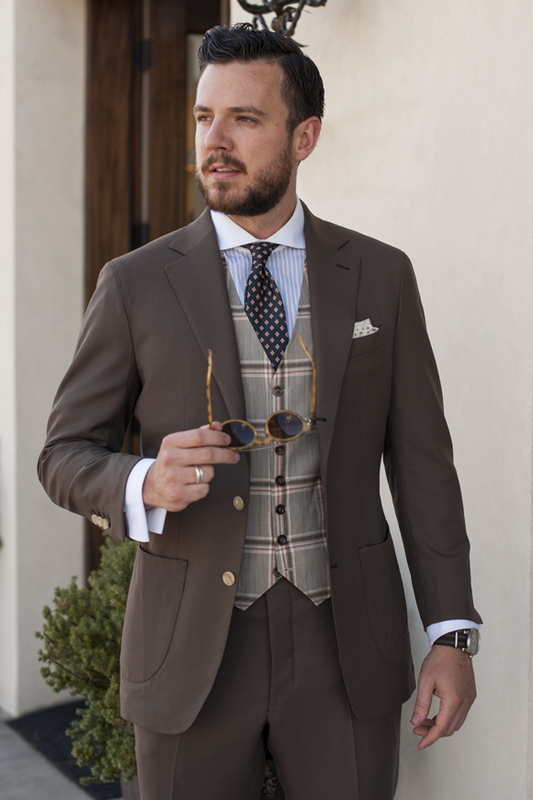 For dark suits you can go with a lighter shade vest, and for light suits go for a darker vest. Below is an image of me from a collaborative shoot with Valerie from Mapleleopard. I’m wearing a charcoal gray suit with a light gray, glen plaid vest. It’s a formal look, but like I stated earlier, you can also wear vests a lot more casually. That’s an upcoming post. Stay tuned.